Papp-Pop. Papierobjekte und Vorführungen von Julia Büttelmann, Kreativagentur Komet, in Koop. 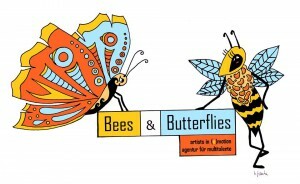 mit „Bees & Butterflies. Agentur für kreative Unternehmen„, Prinzenstr. 7, 10969 Berlin, Do-Sa 15:00-18:00 Uhr und auf Vereinbarg., Ostern: Gründonnerstag geschl., Karfreitag und Ostersamstag geöffnet, Sonderöffnungszeiten im Rahmen der 1. Europ. Kunsthandwerkstage 04.-06.04.2014, Ausstellungsdauer 04.04.-04.05.2014. Gudrun Brüne, Havelland, Galerie KUNST-KONTOR. Forum für zeitlose Kunst, Bertinistr. 16b, 14469 Potsdam, Di, Mi, Do 15:00-19:00 Uhr, Sa 13:00-18.00 Uhr. Beginn 10.11.2013, die Ausstellung ist bis Februar 2014 zu sehen. Im Jan./Febr. wird die Galerie nur unregelmäßig und auf Abfrage geöffnet. I really want you to say thanks to for the time of this great read! you have bookmarked to look at brand fresh things of one’s wewebsite essential study blog! I’d like more information concerning this, since it is very nice., Thanks for discussing. thanks to provide this type of helpful information here. Fantastic submit i must say and thanks for the tips. remains one of the leading topics of all time. We value your posting and appear forward to extra. Excellent submit i have to admit i and also thanks for the information. Schooling is surely a sticky topic. Nevertheless, is still among the top subjects of our time. I value this post and look toward extra. and I maybe you have bookmarked to look at new stuff of one’s wewebsite essential study blog site! I’d like more information relating to this, since it is extremely great, Many appreciate your discussing. to read this article.I wish to we appreciate you the endeavours you needed created for writing this great post. Hi there everyone, it’s my first visit at this website, and article is genuinely fruitful in support of me, keep up posting these types of articles. How lengthy havе уou еver been blogging for? you made blоgging glance easу. You really make it appear so easy with your presentation however I find this topic to be really one thing which I believe I would never understand. It kind of feels too complex and very broad for me. I’m looking forward for your next submit, I will try to get the cling of it! Grеat articlе, juѕt ωhat Ι neеdeԁ. Awesome issues here. I’m very satisfied to peer your article. Thank you a lot and I am taking a look forward to contact you. Will you kindly drop me a e-mail? nice post. People should read this. here every person is sharing such know-how, thus it’s good to read this webpage, and I will use to visit this weblog everyday.